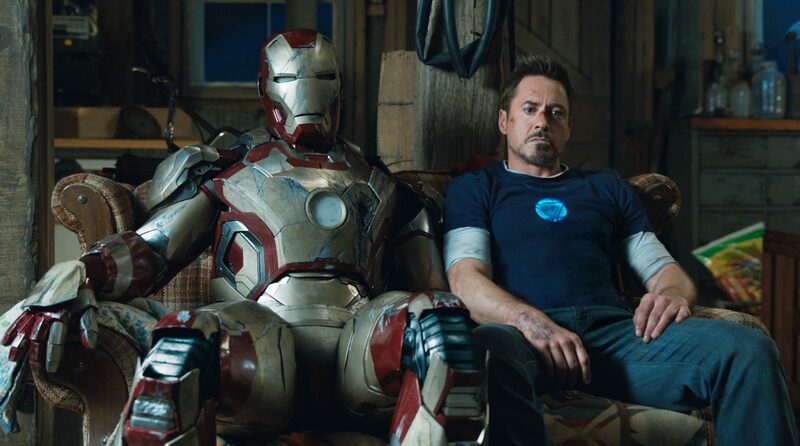 Far from leaving Tony Stark and his famous armor behind (as has long been assumed), it now looks like Robert Downey, Jr. is on the verge of re-upping for a key role in Captain America 3, with the potential to carry over into other appearances as well, including the 3rd Avengers film. Variety is reporting that Downey, Jr. is in “final negotiations” to play Stark/Iron Man in a movie that will kick off a cinematic adaptation of Marvel comics’ “Civil War” event series. That’s a lot to unpack, so let’s start with what in the world Marvel’s “Civil War” series is, and why it’s so important that Iron Man is a major part of it. Kicking off in July 2006, “Civil War” was a limited run event series that tied together the entirety of Marvel’s superhero universe around the “Superhuman Registration Act,” a piece of legislation akin (and here’s a bit of irony for you, considering the fractured nature of Marvel’s big-screen rights) to the background events to X-Men. Essentially, it called for the registration of all superhumans, including the revelation of secret identities, and divided Marvel’s heroes into – you guessed it – a civil war. The two figureheads for the event were Captain America, leading the rebel charge against the act, and Iron Man, chief among those in favor. The Marvel Cinematic Universe has lately been accused of villain inflation (i.e. after one threat has had world-ending consequences, so must all others or be viewed as insignificant) so in an odd sense, “Civil War” might actually allow those in charge to scale things back a bit. Forcing one hero, in this case probably Iron Man, to act the villain ensures that the “threat” will be taken seriously while remanding the conflict to a more personal scale. It also would seem to fit well with both Marvel’s announced films and what they seem to be building in Avengers: Age of Ultron. Ultron and first phase three film Ant-Man promise several new heroes to add to the established on-screen stable, and while Cap 3 is well positioned to form the bridge to Avengers 3, other phase three projects Doctor Strange and Guardians of the Galaxy 2 should have no trouble steering clear of the rubble sure to be caused by the “Civil War” kickoff. Depending on how close the film(s) stick to the source material, Falcon, played by Anthony Mackie in Captain America: The Winter Soldier, could also figure in importantly as Cap’s 2nd-in-Command. …which was slightly less sure. Or maybe even flatly contradictory. Really what it looks like most is that Downey, who’s made an astonishing amount of money as Tony Stark/Iron Man, is still in negotiations about a potential Iron Man 4, but in light of today’s news, was pretty sure that the Captain America 3 stuff was going to go down. At some point, Marvel will doubtless have to recast some of its heroes. But for kicking off and perhaps even completing a story arc that’s likely to take at least two films, if not more, they appear to have their most bankable star on board. Captain America 3 is currently scheduled for a May 6, 2016 release, and will return Winter Soldier directors Joe and Anthony Russo.